Many drivers pay more attention to their smartphone than to others on the road, which is why it's smart to have a dash cam in your car. If you have a close call, or get into an accident, there's footage of what happened that you can share with the police or the insurance company. Choosing a dash cam can be pretty difficult though, and this is also true for high-end models. In this segment, a dash cam needs to go beyond the basics. Thinkware's new flagship, the F800, is one of the most promising options, packing some cool features and solid image quality. But how good is it in real life? I've tested it to find out. 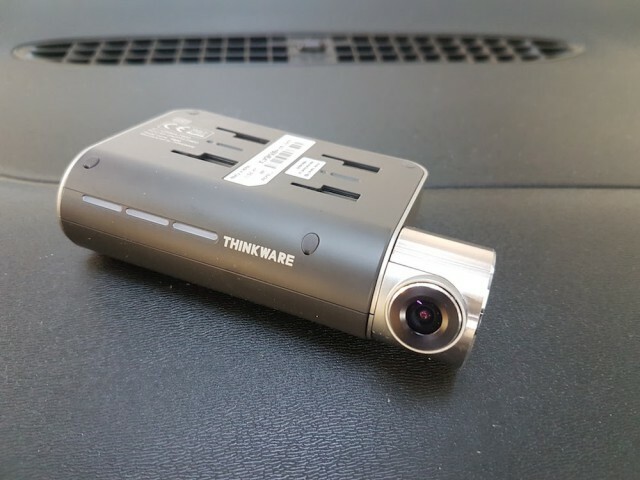 This is the third review of a Thinkware dash cam, following the excellent X550 and F770. The F800 is the company's new flagship model, sitting above the two in the lineup. In terms of design, it is similar to the F770, but there are a couple of notable changes that, based on my time with it, make it more user-friendly. The main one is that the camera module is now easier to adjust. Whereas on the F770 you had a notch on the side to angle the lens just right, on the F800 the whole module sits outside of the dash cam and can be easily rotated with your fingers. It is not a significant change, mind you, but it does make it easier to set up. The buttons are arranged differently too, with the start/stop recording button in the center and the microphone, format, power and Wi-Fi buttons surrounding it. The status LEDs for the GPS, recording status and Wi-Fi are on the left side. Just like the F770, the F800 can be easily placed behind the rear view mirror in your car. It's something that I like a lot, because it does not distract me while driving and, also, it does not act as a small blind spot either. Something to keep in mind, as you are looking at the company's lineup, Thinkware has two models sharing the F800 name. There's the base camera, which is what I have used, and then there is the the F800 Pro. The difference between the two is that the latter has a black lens, whereas the lens on the former is silver. The F800 Pro also has some cloud functionality. But the fundamentals are pretty much the same. At least in the US, the F800 Pro is not yet available. Thinkware ships the F800 with everything you need to get up and running right away. The dash cam is accompanied by a windshield mount, a 12V/24V power cable, a 3M double-sided tape (in case you want to move the windshield mount), a couple of cable mounts (so you can route the cable along the edges of the windshield), a 16GB microSD card with two adapters (one USB and the other to SD), and the usual documentation. Depending on the retailer, you may also find bundles that include a rear module. This syncs to the F800, and allows you to have more coverage when driving or parked. It's pretty neat, but it will add to the cost. Installing the F800 in your car is very easy, as I said above. However, you do need to get the alignment right so you can take full advantage of all the features that the dash cam has to offer. What I mean by that is the sensor must be right in the middle of the windshield and the dash cam itself parallel to the top side of the windshield. If it's installed crooked, you may get unreliable alerts from the driver assist functionality, depending on the situation. After that's done, you can install the microSD and hook it up to the socket. It powers on automatically, and starts recording right away. You should also use the mounts for the cable, to have it neatly tucked away and not hanging from the F800. Depending on how the socket is wired, it may or may not provide power when the engine is turned off and the key out of the ignition. Also, I have seen cars in which one socket is powered with the ignition off, while the others are not. Test this out before leaving the F800 installed, as it can drain the battery. The F800 is very well thought out. You can control the dash cam using the Thinkware Cloud app, that is specifically designed for the F800 and F800 Pro and available through Google Play and the App Store, or through PC Viewer, which is available for PC and Mac from Thinkware's website. Both the app and the desktop software give you access to every option that the F800 has to offer, but there is one major difference between the two: the app works only when the dash cam is powered on, while with the desktop software you can make changes and watch videos with it off. The settings, firmware, speed cam data, and more are stored on the microSD, and when you connect it to your PC or Mac you can use the program to change things directly on the card. When you put it back in the F800, it sees the changes and adjusts accordingly. It's pretty great. Both the app and the program work really well. The app is especially handy when you install the F800 in your car, as it offers a live view mode so you know exactly what the camera sees before you decide on a placement. After that you will probably use it rarely, like when you want to save a video to your smartphone. The F800 is chock full of useful features. The most interesting of the bunch are the driver assistance alerts, which let you know when you're not keeping your lane or getting too close to the car in front. They can get you out of trouble at times, and can be adjusted depending on your preference (to be more or less sensitive) and the type of vehicle you drive. The default setting is car, but you can change this to SUV or truck if you need to. These driver assistance systems produce beeps when the F800 senses that something is wrong. You quickly get used to this. You also get a beep when the F800 senses that you've had an accident, based on data from the sensors. I have (thankfully) not had to test this in that scenario, but the system is sensitive enough that you'll get a beep if you bump into the car when it's stationary. The downside is that it can sometimes be triggered by driving over a bump or pothole in the road. Those files are copied automatically to a special folder on the microSD card, so you can quickly find that footage. That way, it will not get overwritten in case the card gets full. And since the F800 has a GPS sensor built-in, you will get the coordinates embedded in the video too. You can see where you were at an exact moment by looking at the video using the PC Viewer software. The GPS also allows for the speed to be recorded in the video. The F800 also records video from inside the car by default. So, unless you press the microphone button or disable this in the settings, it will include audio for every video. Personally, I prefer to have it disabled, mostly because these videos are recorded for public sharing and I have no idea which one works best for the review, but it can come in handy if you get into an argument with someone. Thinkware also provides speed cam data for the F800. Like with other products in the range, you have to download the file and upload it on the microSD card to take advantage of this functionality. There's support for lots of countries, including the USA, Canada, UK and Australia. 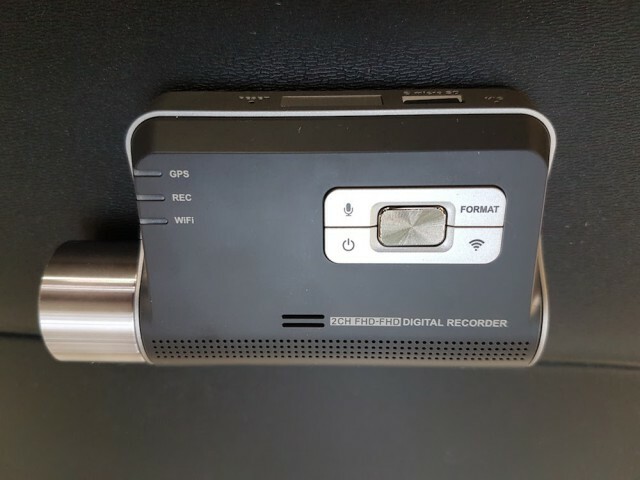 The F800 is set up to record in continuous mode, but if you want there is also the option for manual recording. These files are stored in a separate folder on the microSD card. 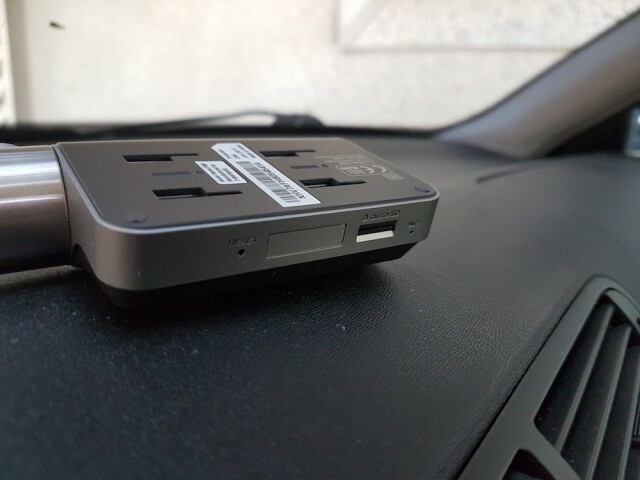 There's also a parking mode, specifically designed so that the F800 doesn't drain your battery when the car is sitting for hours at a time with the engine off. The new generation of F800 cameras comes with a 2.13MP Sony Exmor R Starvis sensor and a 140-degree lens, which records 1080p video at up to 30FPS. In practice, it works really well. There are no settings to adjust the video quality, here. The videos look good, though in my case the results are not as good as they could be. My windshield isn't in its best state, being scratched in places. When light hits it, there are too many reflections. Also, keep in mind that the videos have been subjected to YouTube's compression algorithms as well. This too has a significant effect on quality. The F800 is the best dash cam in Thinkware's lineup. It's a quality device, which offers attractive features and solid video, but, at $279.99 it is not cheap. Should you buy it? If you have the money, then the answer is a definitive "yes."